What gorgeous weather we are having at the moment! Hopefully it will continue for the rest of the summer!!! This week we have been putting new stock on our website, especially the bespoke amber, gorgeous pieces in all different amber colours! 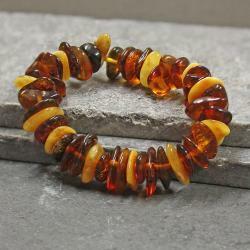 DId you know Amber is said to soothe aches and pains when being worn? Some parents even use amber to help babies with teething aches.